The tour brought to life the then-airing advertising campaign in which two women were so passionate about the dip, they felt compelled to crisscross the country in a Winnebago—or rather, Quesobago—“to cover the nation in queso.” Clad in banners and carrying a photo tent and giant inflatables of RoTel and Velveeta packages, the Quesobago arrived at eight major college football games last autumn in time for tailgating. The “Queso Queen” encouraged the crowd via a megaphone to stop by for freshly made samples, refrigerator magnets with the recipe, and “Queso for All” towels. Visitors could pose with a personal message in the photo tent and have the picture emailed to them instantly; the email included a link to a microsite where they could enter a sweepstakes to win a visit by the Quesobago at their home on Super Bowl Sunday. 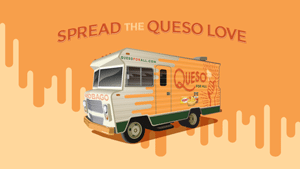 The picture was also available for instant sharing on social media with a branded message and the hashtag #QuesoForAll; by sharing the photos, consumers received additional sweepstakes entries. At the eight football games, the Quesobago distributed more than 14,500 samples. 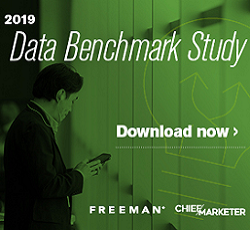 The 2,326 photos taken had a 15% share rate, the #QuesoForAll hashtag was used more than 14,200 times, and ConAgra received more than 80,500 sweepstakes entries, exceeding all benchmarks.